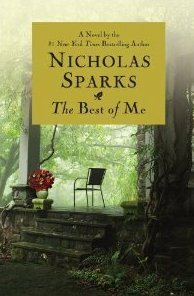 I’m always checking to see if Nicholas Sparks is working on something new because lets face it, no one writes a better love story than him. I’m always worried wether or not I will like a book I’m about to read but I know I’ll always love his. They are all so full of heart, love and romance and make you wish there’s actually guys in this world like the ones in his books! Nicholas Sparks always knows exactly what a good story needs. Very excited for this one to come out. Random piece of information: This is also going to be a movie! We are reading a lot of the same books! I loved SEAN GRISWOLD’S HEAD and BETWEEN SHADES OF GREY and ACROSS THE UNIVERSE.